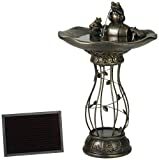 This pedestal style bird bath has been handcrafted by skilled artisan here in the USA.. 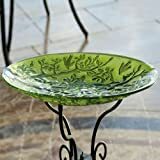 The base and bird bath bowl were created from clay and hand processed, fired in kilns and then hand painted and stained with exquisite detail and beauty and the inside of the bird bath has been glazed for sealing the ceramic to hold the water in the bowl. 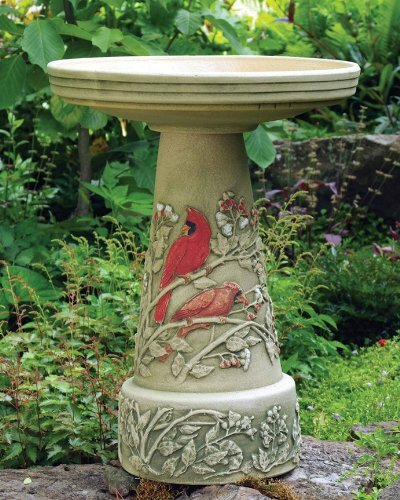 The beautiful red detailing of the cardinals and the moss color staining makes this an absolutely exquisite piece to add to your garden. The top locks onto the base with a twist and you will enjoy it for many many years to come. In colder climates, it is advisable to remove the bath to prevent cracking or add a de-icer for winter. We have had one of these products in our garden for about 7 years and we use the base to hold a gazing globe. 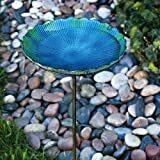 Absolutely beautiful piece for your garden and great to change from season to season. Size is 22 inches high x 17 inches in diameter.